Simple Salads. | Eat More Plants. It’s been unseasonably warm yesterday and today. And by unseasonably warm, I mean it’s been 45-50 degrees in January in Vermont. Strange. Regardless of the temperature, winter is one of my favorite seasons for hiking. Winter & summer I would say are the best. The two extremes. I go hiking year round but it seems to be the most peaceful when it’s cold. Most animals are in hibernation and the ones that aren’t leave beautiful, telltale signs that they’re there but they won’t let you find them. Hundreds of deer prints litter the mountain and it’s fun to follow them. So yesterday after my mushy snow hike, I was in need of some raw goodness. I made a simple salad with baby kale (which is my new favorite salad component! 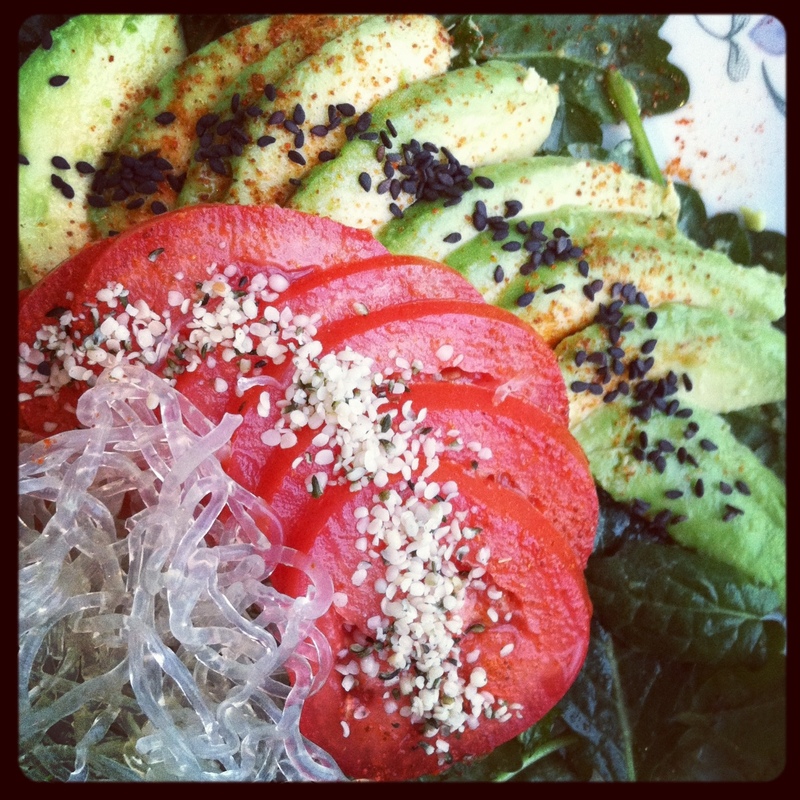 ), avocado, tomato and kelp noodles. I squeezed a generous amount of lime all over and massaged my kale with some peanut miso dressing. Sprinkled cayenne, sesame seeds and hemp hearts as well. 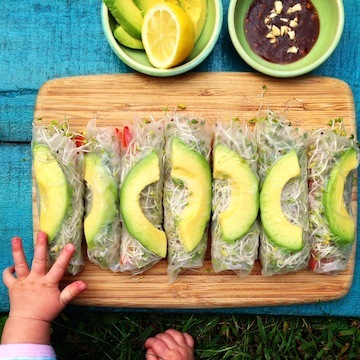 Tomato & avocado are a classic combo in my book! I can always eat them together, morning, noon or night.